Russia’s Nudol system has been successfully tested from a transporter-erector-launcher for the first time. Russia carried out the sixth flight test of its new anti-satellite missile system on March 26 at the Plesetsk Cosmodrome, The Diplomat has learned from U.S. defense officials with knowledge of ongoing Russian weapons development. The test, which involved the system known as PL19/Nudol, was the first to see the direct ascent anti-satellite weapon launched from the transporter-erector-launcher system designed for its eventual deployment, U.S. defense officials familiar with details of the latest test confirmed. The test was the fourth successful flight test of the system. While the Nudol has features in common with midcourse ballistic missile interceptors, U.S. military intelligence assesses the system to be focused primarily on an anti-satellite mission. Russia also continues to test new modifications of its 53T6 Gazelle nuclear-tipped interceptor. In November 2017, Russia tested a new Gazelle modification, known as the 53T6M, that demonstrated an interception altitude capability of 100 km. The 53T6M may see deployment around Moscow as early as late-2018. U.S. officials have raised concerns about parallel Russian and Chinese pursuit of anti-satellite weapon systems. In February 2018, China conducted another test of its KO09/DN-3 midcourse hit-to-kill interceptor against a medium-range ballistic missile target; the DN-3 is also capable of an anti-satellite role. 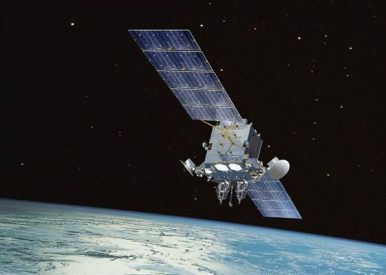 In his 2018 Worldwide Threat Assessment, U.S. Director of National Intelligence Dan Coats noted that “Both Russia and China continue to pursue antisatellite (ASAT) weapons as a means to reduce US and allied military effectiveness. “Russia and China aim to have nondestructive and destructive counterspace weapons available for use during a potential future conflict,” he added. “We assess that, if a future conflict were to occur involving Russia or China, either country would justify attacks against US and allied satellites as necessary to offset any perceived US military advantage derived from military, civil, or commercial space systems,” Coats continued.